Oh let’s just say that I’ve been having SO much fun playing with Barbie dolls the last few weeks, being a Barbie fashion designer. This is my first Cut and Sew pattern project, and it has been totally fun! I loved created this one-of-a-kind clothing collection for dolls, and can’t wait to do more. 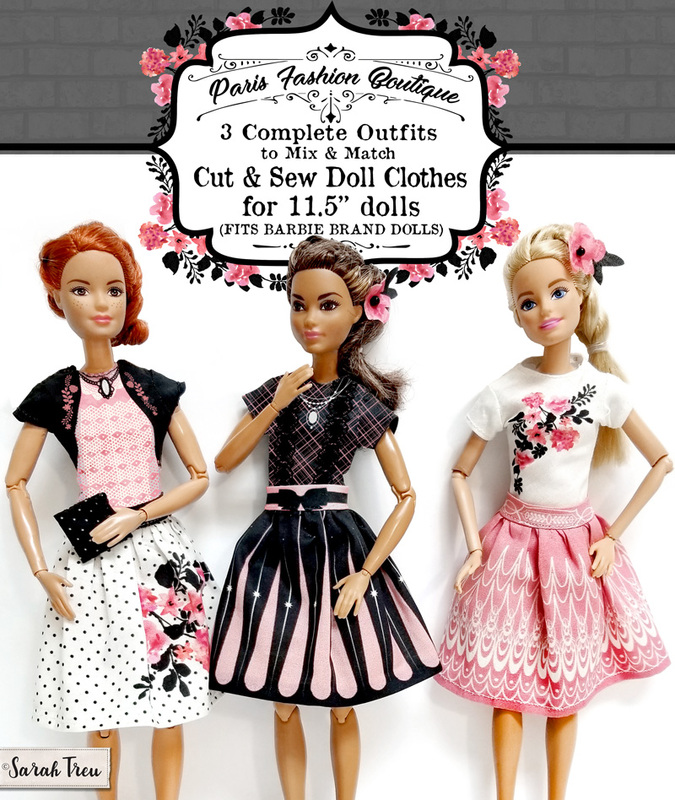 This fat quarter project includes 3 complete outfits plus accessories for your favorite 11.5″ doll (aka Barbie size). Customized with fun details that are perfectly to size, your doll has never looked so chic! This Paris inspired wardrobe will have your doll ready for a date with an Eiffle Tower view. What I love most about this project is that is it SO simple to prep, because I’ve prepped it for you already! No paper patterns, no pinning, just cut and sew. Easy peasy. 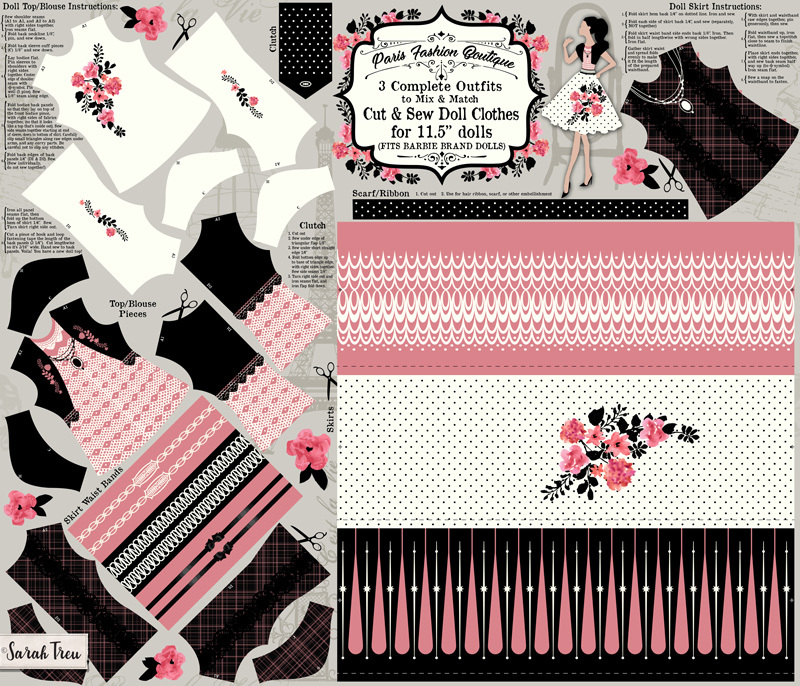 You can shop this fabric at my Spoonflower Shop HERE and create your own DIY, fashionable, Barbie doll clothes. Enjoy! Check out more designs at my Spoonflower Fabric Shop HERE, or click an icon below.